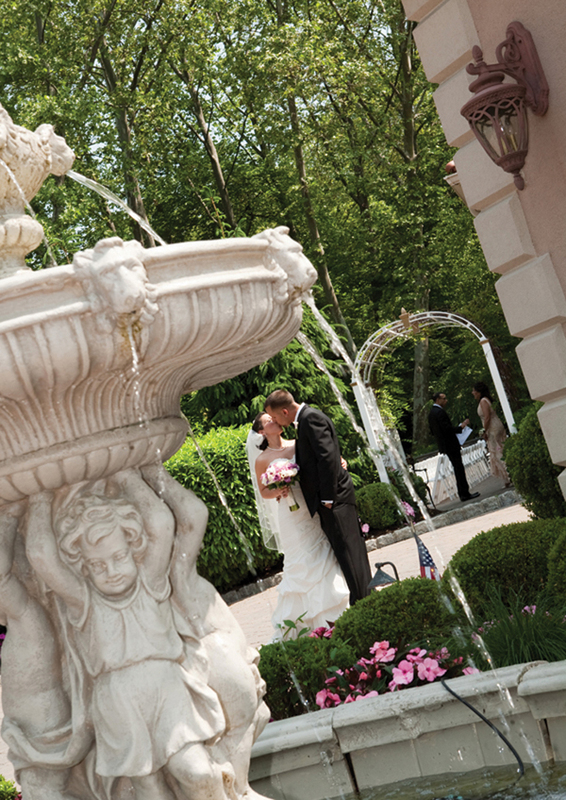 “Brides and grooms usually want to know how we can make their day special,” says Tom Casella, former general manager of Nanina’s in the Park and currently general manager of its sister property, Park Château Estate and Gardens. In terms of budgets, Tom has a special arrangement. He tells us that in creating Nanina’s, the owners wanted a property every bride and groom could afford. “For example, a wedding on a Saturday night in season, May through October, is over $225 a head, But have a Thursday evening wedding in season and it’s $120 per person. 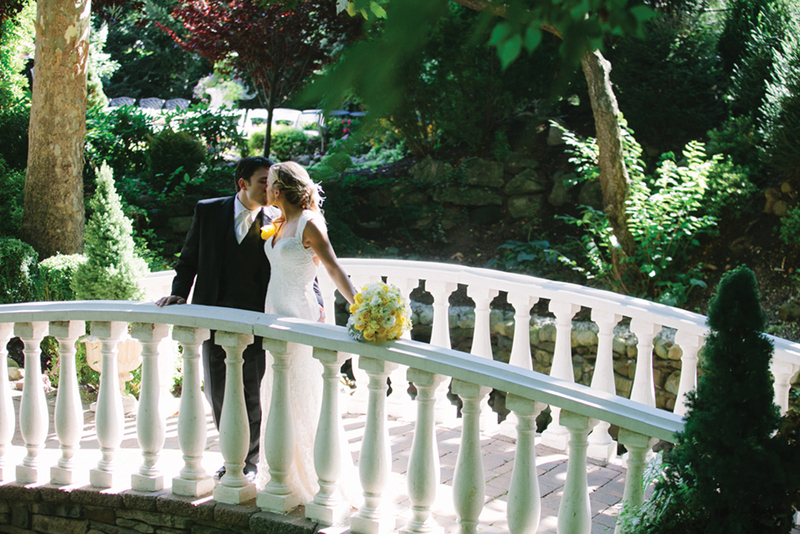 Choose a Saturday wedding out of season and it could be $150 per person. 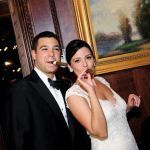 “But no matter when you have your wedding at Nanina’s, with us, it’s always one event at a time. That’s one waiter per table, at least two maitre d’s coordinating everything, and bridal attendants. Everyone gets the same thing. Most facilities have an in-season menu, an out-of-season menu, or an afternoon menu, but not us. “I just sat down with a bride who’s an artist and a groom who’s a musician.” Tom tells us that for her invitation, she’s sending a six-inch square piece of canvas on which their guests can paint their reply! She’s going to stitch all the pieces of canvas together into one large painting, and then the guests will be a part of their ceremony. “They’re on a budget, so they’re doing a Saturday afternoon,” says Tom, “and she said, ‘We can’t afford centerpieces,’ so I said, ‘Why don’t we frame 15 of those pieces of canvas and put them on little tripods? They can be your centerpieces.’ She’s an artist so she loves the whole idea. I found a band that’s reasonable and the groom is a drummer so he’s going to do several songs with the band. Tom hired a decorator who hung crystals from their cathedral ceiling. 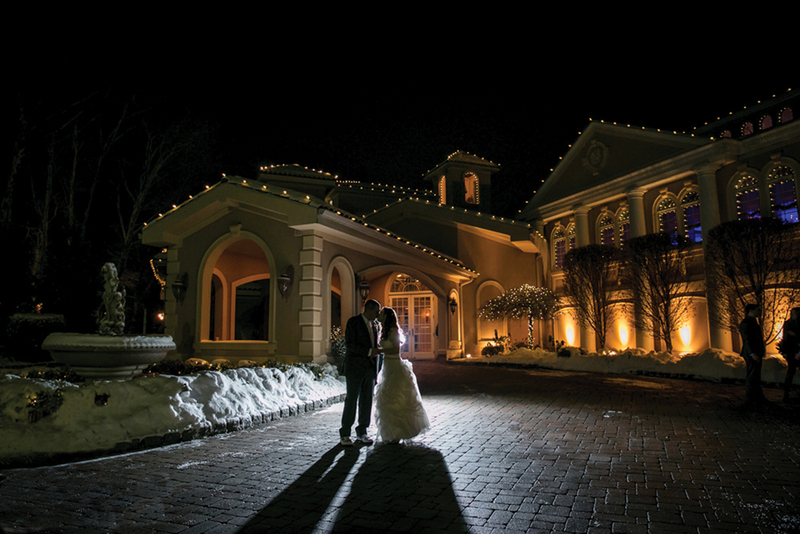 “We have many LED intelligent lighting fixtures in the room, so I knew I could create a club atmosphere.” They also did the traditional early arrival champagne and the traditional ceremony. 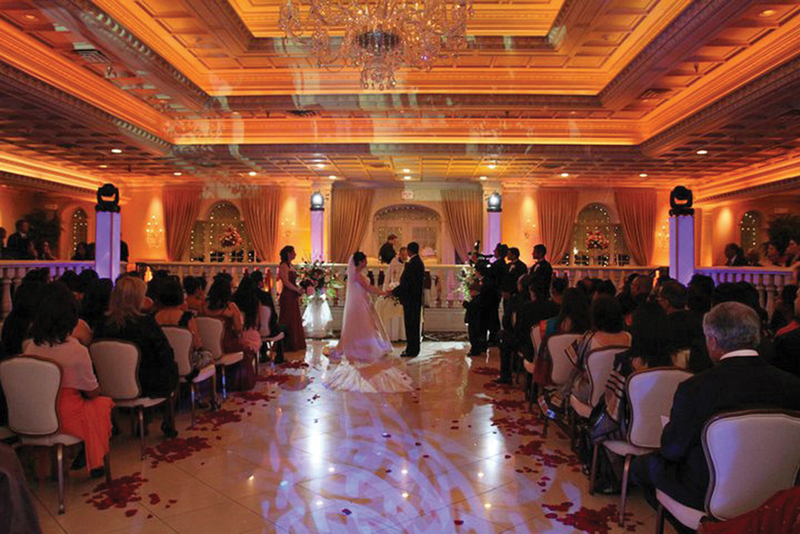 Recently, Nanina’s has been welcoming more and more multi-ethnic weddings. At one recent wedding, for example, the bride was Indian and the groom was Italian. “That can be hard on us, because as event planners, how do you incorporate both foods? At The Park Savoy, our sister property, we have a chef who went to school for Indian cuisine, sushi, as well as Italian cooking. 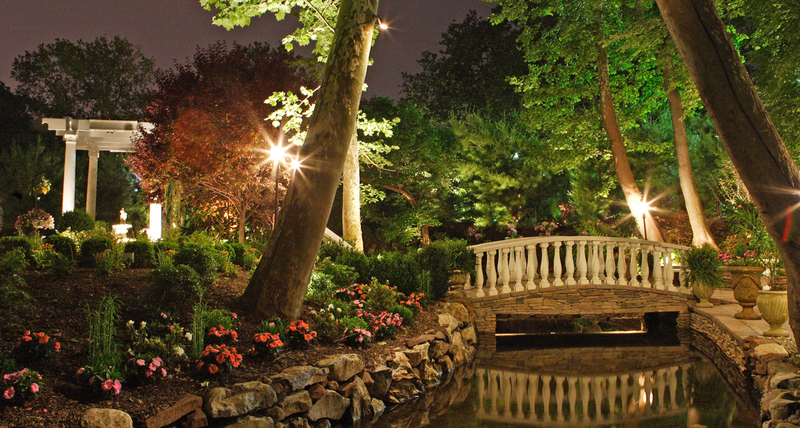 When they first purchased the property, it was in a park and a beautiful stream went around the building. 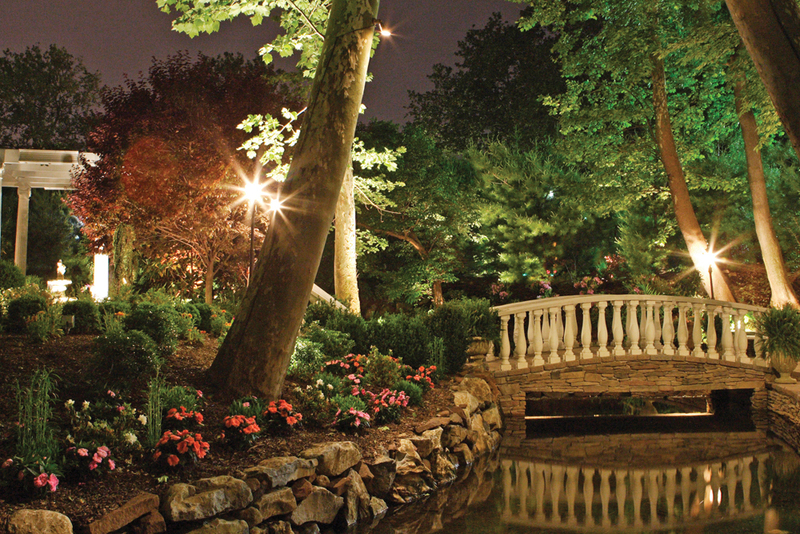 “We brought in an hstoric bridge to put over the existing stream over the stream and also created a 20-foot double waterfall.” In designing their outdoor ceremony space, they had a choice between creating it wide or long. 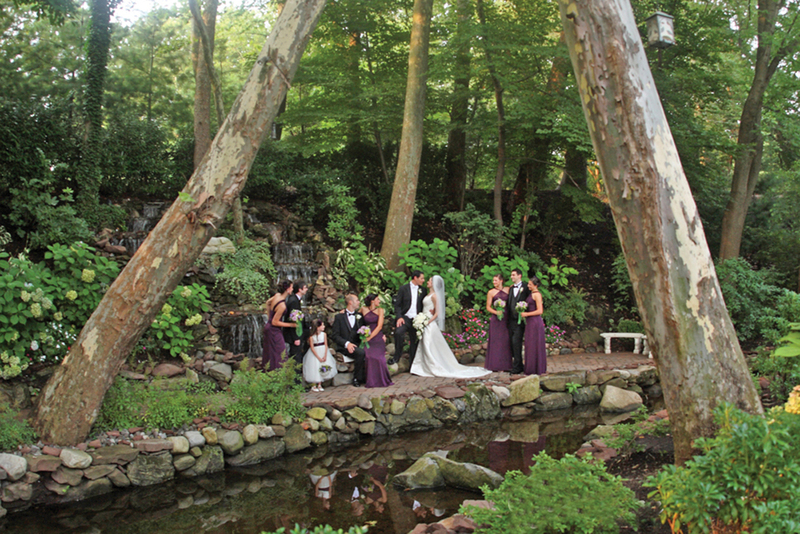 “We went wide so the 20-foot waterfall and koi pond could be seen by the wedding guests during the ceremony. We actually put microphones in the waterfall, which mute any external sound and amplify the sound of the waterfall’s cascading water. Over 60 years ago, the original family behind the venue had a restaurant in downtown Newark, and then Nanina bought the villa. 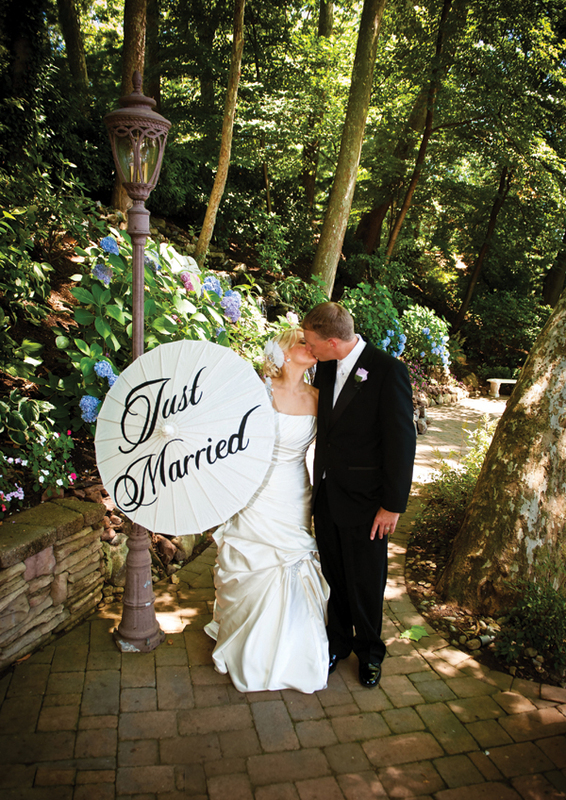 “Even though we are doing the same thing for our weddings, every wedding is different. Every day is like doing it for the first time, and that is exciting. They also just created a bride’s suite and a groom suite. 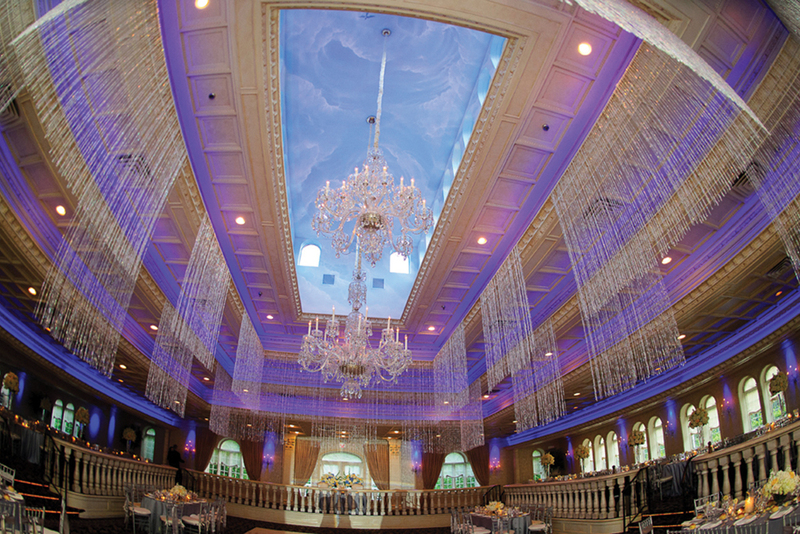 “Both were designed by our decorator, Phyllis Taylor, and one of the owners, Vito Cucci. 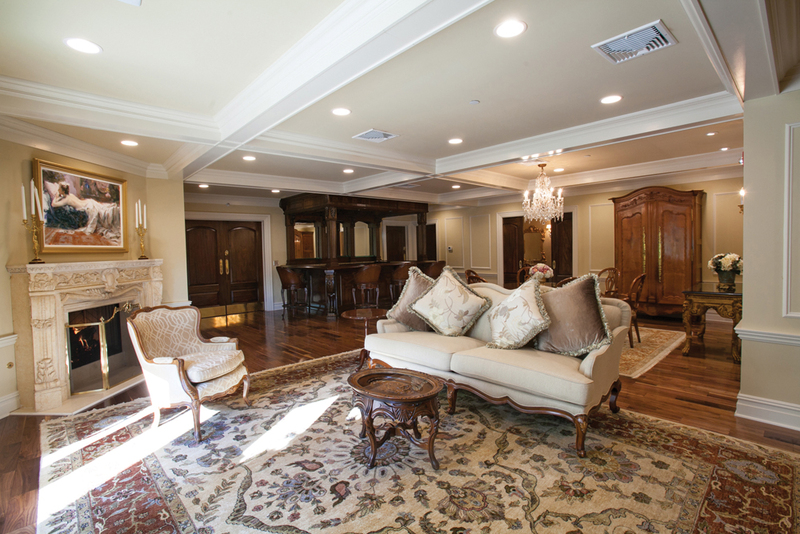 The bride’s suite has makeup tables, two baths, and a princess balcony overlooking the ceremony area. The groom’s suite is a man cave, with a fireplace, a TV, and leather couches. We always try to get the groom involved with the bar, so that when his friends walk up to the bar, we have everything there. 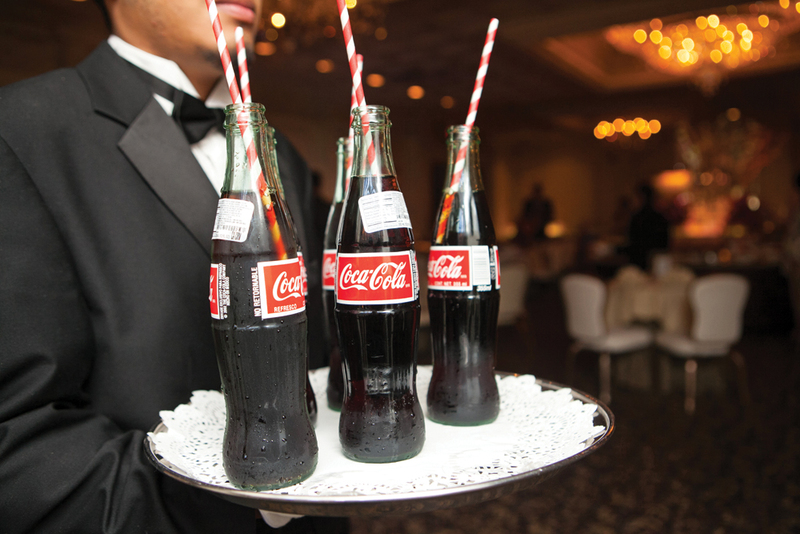 We have all this in place so when you and your guests walk in, you know it’s your wedding.